Apple will include a fingerprint scanner on the high-end iPhone that the company will introduce at a media event tomorrow, widely thought to be called the iPhone 5S, according to The Wall Street Journal. Placing a finger on a computer or smartphone has long been proposed as a way to avoid the need for passwords to authenticate users of computers and other devices. People familiar with the matter said last week that Apple will include a fingerprint scanner on the more expensive of two iPhones it is expected to unveil Tuesday at an event at its Cupertino, Calif., headquarters. The paper notes that the fingerprint scanners used in older electronics devices have been inaccurate, but newer devices can take several scans with the finger held in one place, allowing for better reliability. The WSJ notes that reliability and ease of use are key and will be essential for widespread public adoption. 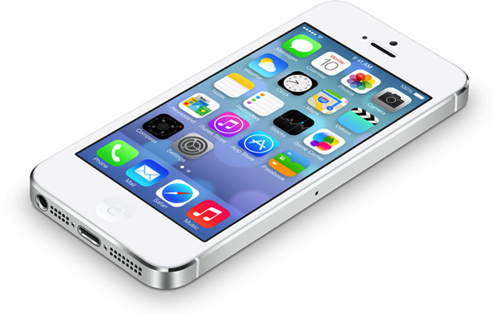 The iPhone 5S will, by far, be the most high-profile consumer electronics device with a fingerprint scanner. Apple purchased fingerprint sensor company AuthenTec in July 2012 for $356 million. The new iPhone will be unveiled tomorrow at 10:00 AM Pacific Time at Apple's Cupertino headquarters. MacRumors will have live coverage of the event. If it has the same design as the iPhone 5 the battery can't be enlarged a lot. So this is not really going to happen. While I must admit that I really look forward to it, I am pretty disappointed if Apple doesn´t have any more surprises for us up their sleeves. If it's the same bleeding 4 inch screen, I hope someone in the crowd yells out "BOOOO". I would if I were there. Guess I'll know if I'm coming out of pocket for a $700 Note 3 in a few hours. Just found out today that the Note 3 can shoot 4k video, too. More and more I'm being pushed to getting my first Android phone. congrats, you bought your man purse accessory? Thank god. I just couldn't wait another 15 hours to find that out. Funny you say "sleeping" because as my friend pointed out "what's gonna stop your suspicious girlfriend from unlocking your phone while you sleep?" If your girlfriend is that suspicious, you might have other issues greater then a fingerprint scanner. now samasung will make 4.7 inch wide fingersprint scanners to scan all fingers at once and say its better because its more secure.